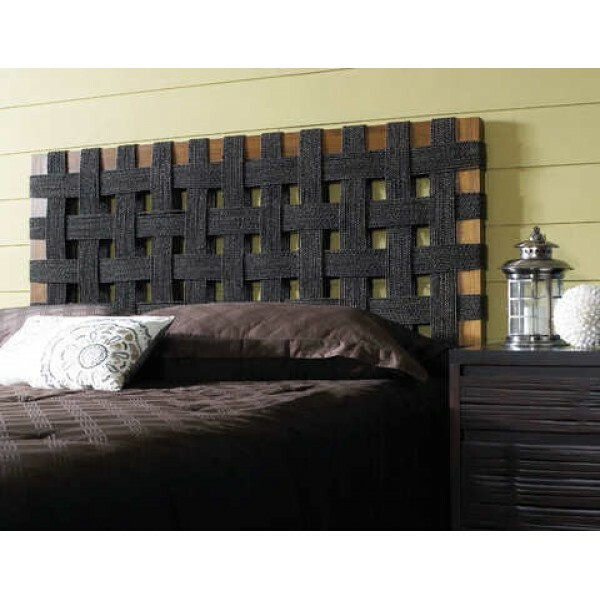 Contemporary and natural come together in this striking headboard from Pacific Home Furniture. The contrast of the dark sea grass weave and the lighter stained Indonesian Mahogany, create a beautiful focal point for the bedroom. Available in King, Queen, and Twin sizes. Hardware is included for pairing with a standard metal bed frame.